The 25-year-old French international is currently injured and pulled out of Les Bleus team for the UEFA Nations League clash against the Netherlands. Pogba suffered the injury during their 2-1 win away from home against Italian Serie A giants Juventus and subsequently missed the derby against reigning Premier League champions Manchester City. He is now recovering from the injury in Dubai and could not help France as they lost 2-o to the Netherlands at the Stadion Feijenoord. 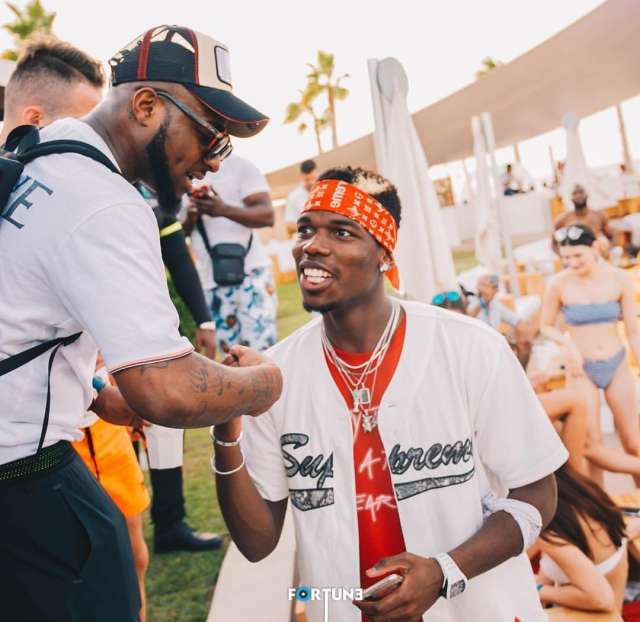 According to several photographs that have surfaced on social media, Pogba met with Davido who was in Dubai for a One Africa Music festival. Pogba also ran into Barcelona superstar Messi who was with his wife at the Salt Bae’s Turkish steakhouse. The French man spoke with Davido in English which he understands very well and spoke Spanish with Messi and his wife Antonella Rocuzzo.